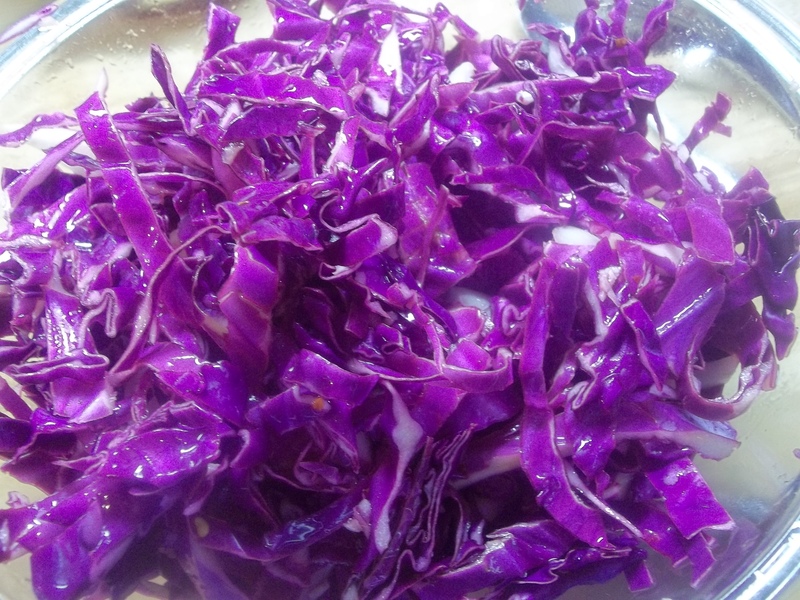 I love German red cabbage made by my mother. Mine never tastes like hers and every time I make it I have to call her to ask her again how she does it. She complains that my sister does too. I guess we should be better about writing it down in a permanent place so that we always have it, but we both make it most often on Christmas morning and have spent that day together in the past. As you can imagine it’s easy to lose the slip of paper we jot the recipe down on in all the holiday hustle and bustle and Christmas dinner clean-up. 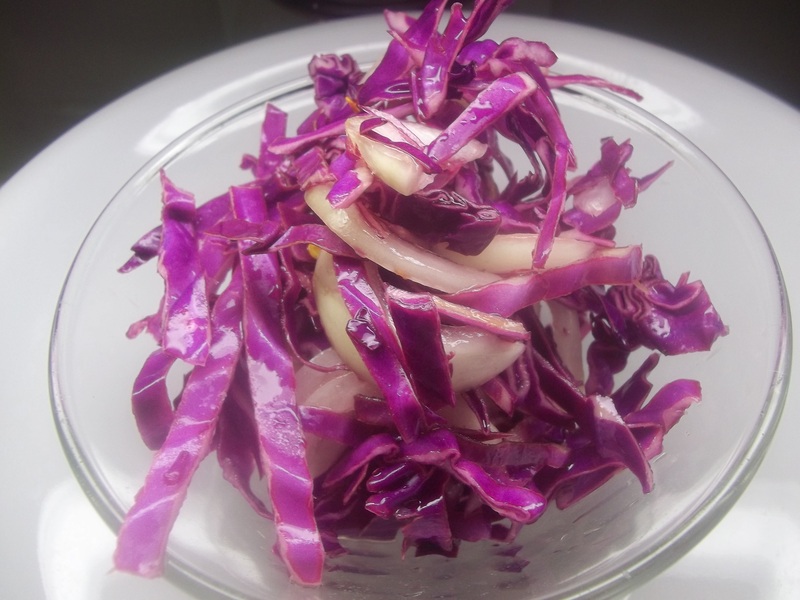 I believe that my mother, who loves sweet/sour/spicy food and red cabbage, would like this slaw. It’s a nice, lighter version of the usual mayonnaise based slaws. 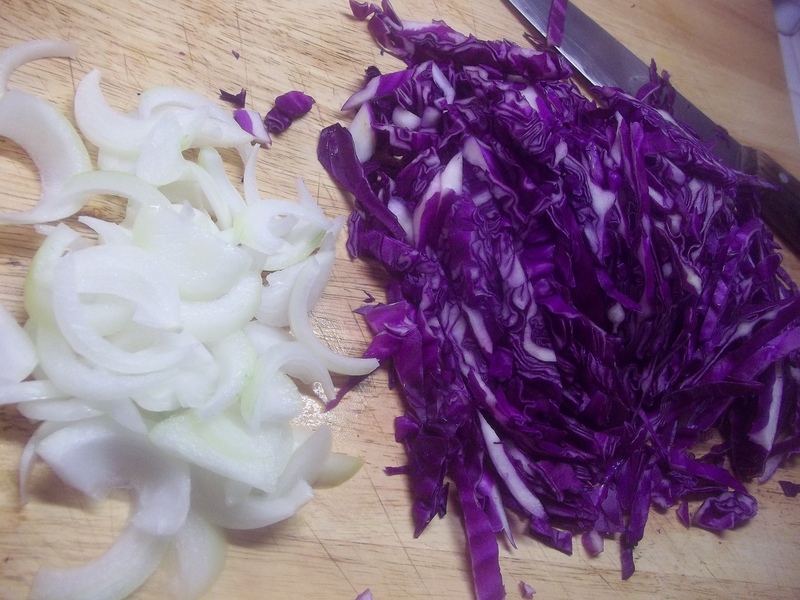 Combine the cabbage and onion in a casserole dish or heat-proof serving bowl. 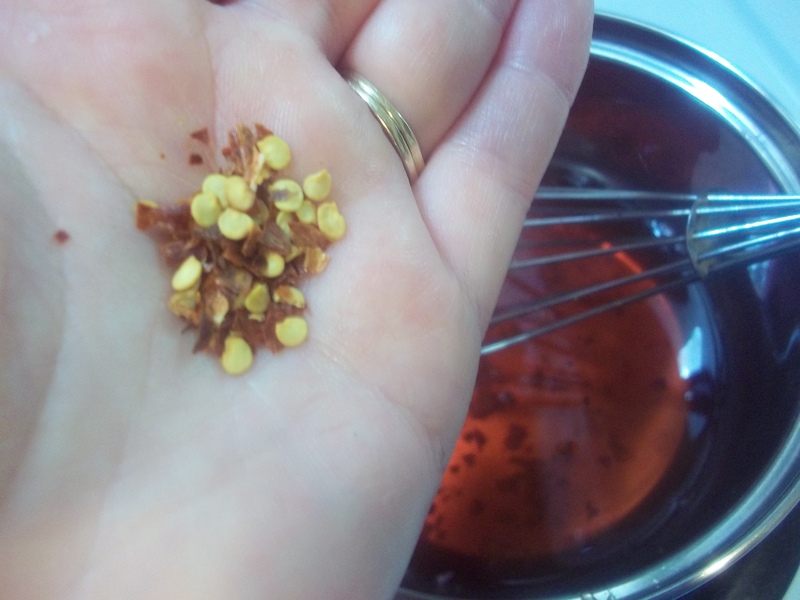 Add remaining ingredients to a small saucepan. 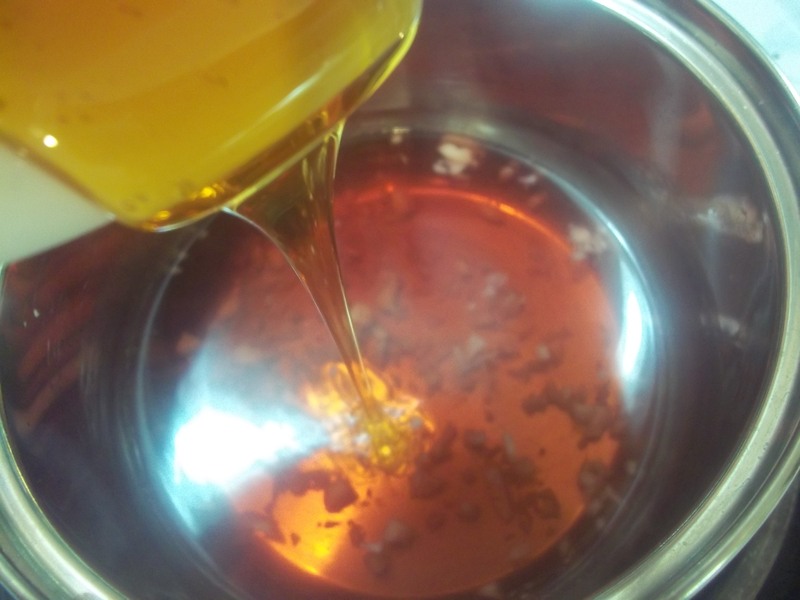 Heat until boiling. 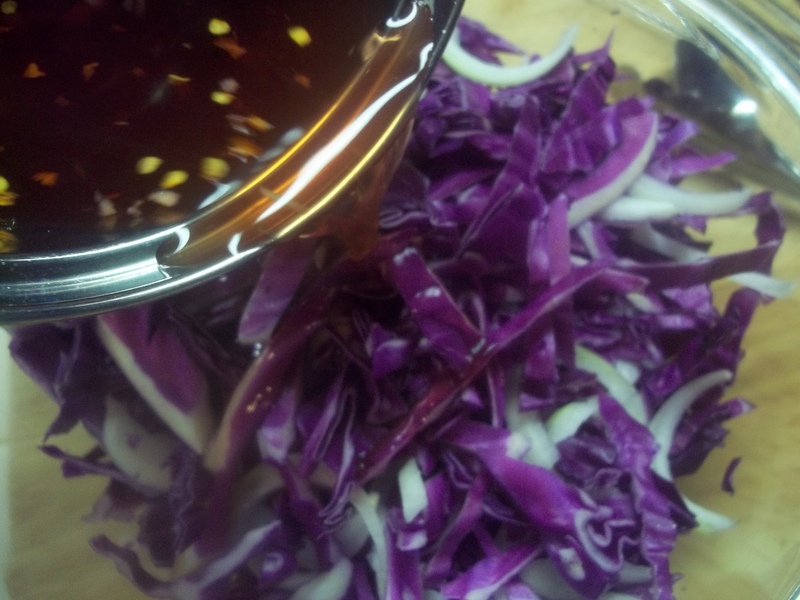 Pour over the slaw in the bowl and toss it together. Let stand one hour before serving. Might be nice with apple too. OOO! That’s a good idea!